Once you make iced tea in your pressure cooker or instant pot, you’ll never make it the old-fashioned way again. Super easy, hands-off method for the smoothest but strong Instant Pot iced tea you’ll enjoy! I know, you’re wondering what’s wrong with your standard way of making tea on the stove top, or perhaps even your beautiful sun tea method of making tea. I used to make tea in those ways as well, except not as often as I’d like to have because they did require me to pay attention to what I was doing and remember to bring in the tea from outside etc. But mainly, I prefer the Instant Pot method for the taste of the tea. It makes my tea taste both stronger, and yet more mellow at the same time. More and more, this is how I make my Iced Tea. I’ll be honest when the first person posted about the tea I rolled my eyes, teenage girl style. I was like, really you people. How hard is it to make tea on the stove? The answer is…harder than in the IP and not as good, not as strong, and actually not as economical. I reuse my bags at least twice. When I first posted about this on the IP forum (April 12, 2017), it started a great discussion on whether or not the tea would be bitter, should we add baking soda to keep it from being bitter, etc. It got me thinking about why I think it is the tea is strong but not as bitter as stovetop tea. I’m adding what I posted to the forum. So for all of you who wondered about QPR and NR, and wondered if the Tea would be bitter if boiled. Under pressure, water doesn’t boil at 212F. What pressure does, is it raises the boiling point of liquids. So things heat up, but don’t boil. That’s why the food in a pressure cooker tastes different than if it had been boiled on the stovetop or slow cooker. Once the pressure is released with QR, the water does come to a vigorous boil. As the pressure goes down, the liquid returns to its original boiling point, which for water would be 212F. This is why we don’t QR most meats. People sometimes say it’s to let the meat rest but it’s actually to keep the meat from being boiled. This is why when you QR, you have to be really careful as you open it, because as the pressure releases, the liquid inside starts to boil vigorously. So don’t QPR. And your tea is being well-steeped, not boiled. 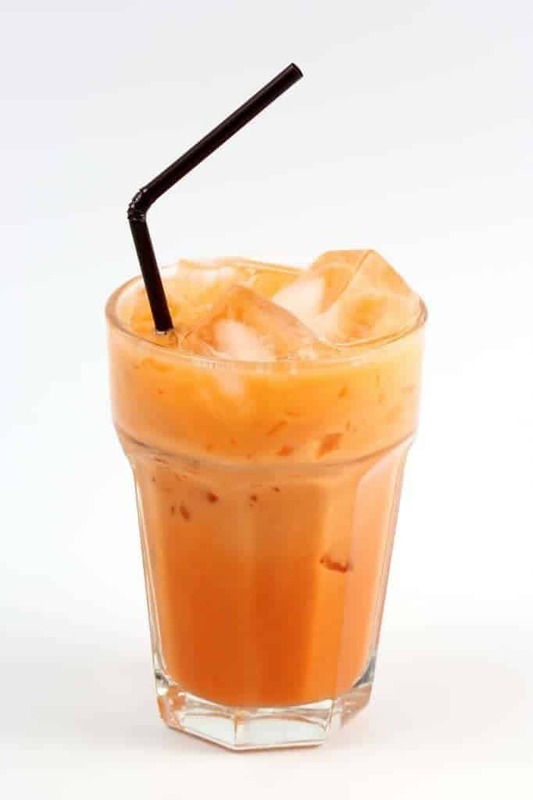 You can also add a little condensed milk to make an excellent Thai Iced tea if you’d like. By the way, this iced tea isn’t the only drink you can make in your Instant Pot. If you’re looking for other Instant Pot drink recipes, you might like this Agua de Jamaica recipe, or this Horchata recipe as well. If you want to make hot drinks, try my Instant Pot Masala Chai recipe. Make the best iced tea you've ever had--in your pressure cooker. 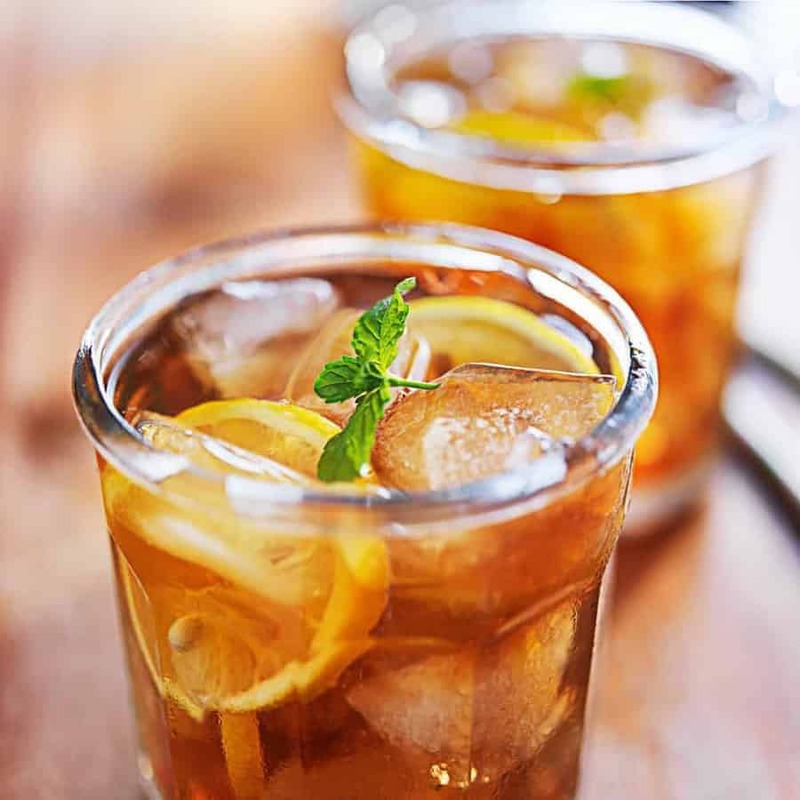 Instant Pot Iced tea is an easy, flavorful way to make strong but smoothly-flavored iced tea in your pressure cooker or Instant Pot. My skin that was regular black tea… My 21 yr old grandson and I both love iced tea. That batch came out exceptionally good. From time to time we were buying the Lipton pure leaf unsweetened at the grocery store. The batch I made I used 6 tea bags plus a full 8 cups of water and it’s perfect. I sliced lemon, added some stevia,poured over ice, & it is just phenomenal! I usually make a gallon of tea at a time using a Lipton gallon Tea Bag. Can you tell me how much water you would use in the instant pot for a gallon of tea? Would you add cold water to the brewed tea after making to make the gallon size? This sounds so good! I’m interested to know as well. I usually use 12 tea bags for a gallon of sun tea. Wonder if it would be the same. I haven’t tried it with sun tea, but I will say that you’re better off starting with less water. You can always add more later on. It does make a much stronger team then on the stove top but not bitter. Hi, Urvashi – I’ll be trying the IP Iced Tea. 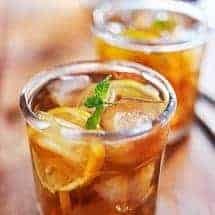 When we gave up our glass of wine with the evening meal due to a gastric ulcer, we substituted a blended iced tea drink. I thought you might be interested in trying it, as we have been quite satisfied with this substitute. I have been making it on the stove but am eager to try it in the IP. Steep tea bags for a few hours. Remove the tea bags and devide the tea into two quart-size Mason jars. Add cool water to nearly fill each jar. Place a lid on each jar, and store in the refrigerator. If you like a sweet tea you can add a sweetener but we find it doesn’t really need it. Word of warning: change your silicon ring, unless you want your tea to taste like last night’s chicken and rice dinner ! I do like this method however. I did add fresh peaches to mine. It was clear on the first day but then became cloudy. I have seen that people add baking soda to theirs to keep it from clouding up. I need to try that.